Indigenous Peoples across Turtle Island have been dancing and drumming for generations but, in the 21st century, that rhythmic spirit is finding new forms of creative expression. 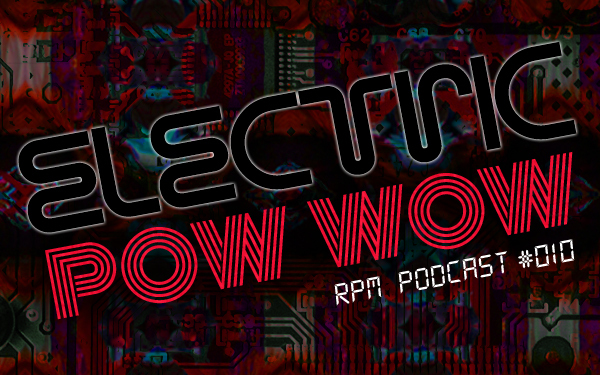 In our tenth episode, the powwow gets plugged in, mashed up and remixed. Our host Ostwelve asks three emerging Indigenous artists about their use and creation of electronic music. A Tribe Called Red – the Ottawa-based DJ collective of NDN (Nipissing First Nation), Bear Witness (Cayuga) and Shub (Cayuga) – describe what they’re doing in the clubs as a cultural continuence from the powwow, and that the two are not that far apart after all. Using small digital electronics, Cree electro-cellist Cris Derksen can make her cello sound like a bass, a drum, or even seagulls. Hear how she’s creating a new palette for the usually classical instrument and how being a musician is like being a jeweler. Nicholas Galanin, aka Indian Nick, a Tlingit/Aleut visual artist and musician from Stika Alaska, likens contemporary Indigenous electronic music to our history as strong adaptive communities and cultures, and finds the mixing of electronic with other forms of music comes naturally. Yes ladies and gentlemen, this revolution has been electrified.